On Monday morning, good friends Lee Mitchell, Bob Hamilton, Chuck Sheley and I will begin our annual November fishing adventure. We are off to the Swamp! The beauty of the Everglades cannot be over stated. 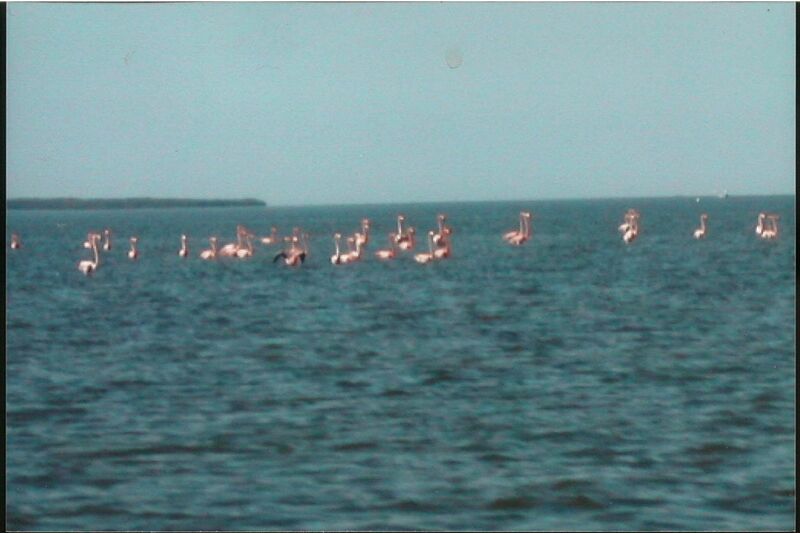 Although blurry, this picture of flamingos in the wild was taken on a previous trip to the Everglades. Our quarry will be the beautiful snook, bulldogging redfish, and there may even be a few tarpon around. The three year ban on keeping a snook due to a huge fish kill as a result of extreme cold in the Everglades has been lifted. So, if we are lucky, there may be a snook and redfish dinner some evening next week. We have the good fortune of fishing with tremendous guides, Steve Huff and Andrew Bostick. I am quite sure they are not as excited about fishing us as we are about their being our guides! They will either pole or use their electric motors to direct the skiffs along oyster bars, mangrove islands, channels, and other fish holding structure. With the new moon we are hopeful that enough water will be moving to create tidal exchanges sufficient to encourage hungry fish to strike our plugs. There will be some bugs, some plugs hung up in the mangroves, a lot of good-natured chop busting, and great camaraderie. If I can master a little technology as the week goes along, my hope is to do a brief daily posting with a little pictorial proof of our adventures. I have one personal goal. Avoid falling from the boat into the water where alligators and sharks swim. I had two such mishaps last year. Although I am confident I will stay dry, Steve Huff did tell me during a phone call last week that he had stored a snorkel on the boat to make sure it is available for me. 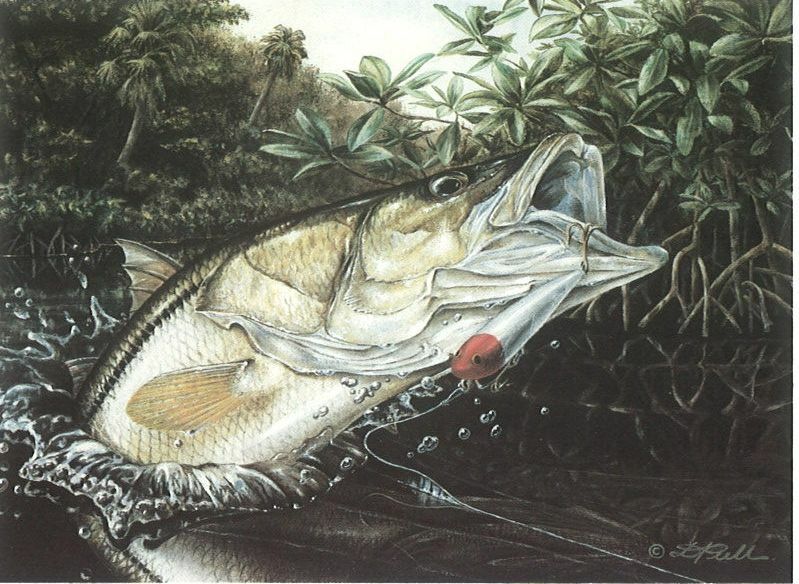 This entry was posted in Fishing, Fishing Stories and tagged Andrew Bostick, Bob Hamilton, Chuck Sheley, Everglades, Lee Mitchell, Snook, Steve Huff by Tarpon Slam. Bookmark the permalink.